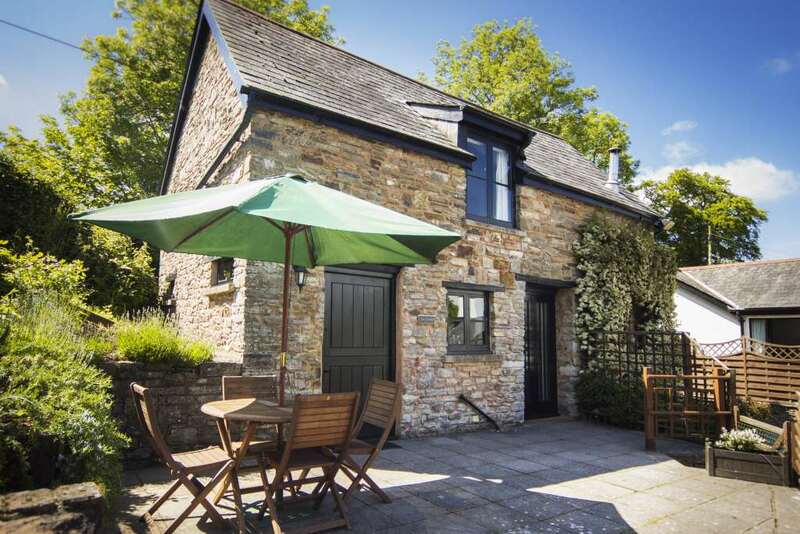 Three Gates is a converted 17th Century farm, with five high quality holiday cottages, set in the beautiful East Devon countryside, only 15 minutes drive from the M5 (J27). We have a large, warm, indoor swimming pool (33 ft), sauna, fitness room, children’s play areas, 12 ft trampoline (available from March to October), laundry facilities, enclosed pond area with ducks and friendly chickens and two acres of grounds. All cottages are well equipped with central heating, dishwashers, flat screen TVs with freeview, DVD players and free WiFi Internet access. They are supplied with natural filtered spring water and all cottages, except the Granary, are single storey. 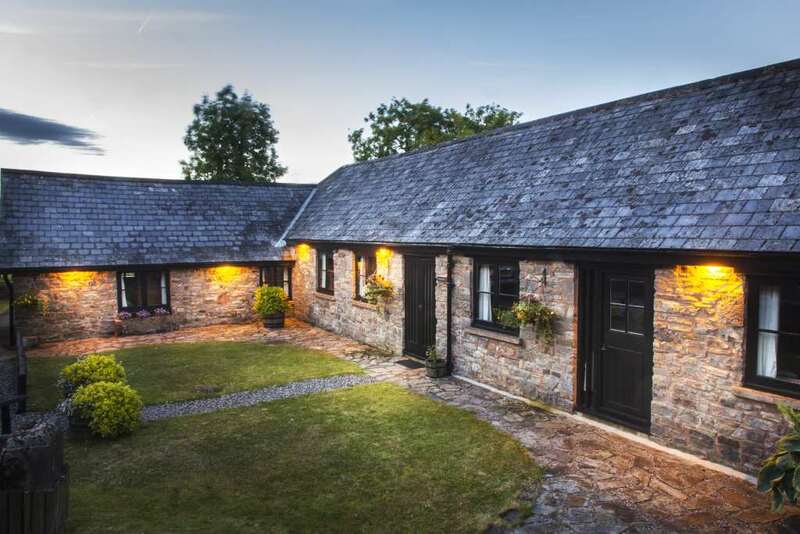 Relax and enjoy the rural tranquillity at Three Gates Farm or explore the north and south coasts, Exmoor, Dartmoor and all that Devon and Somerset have to offer from our ideal location in the Devonshire Heartland. Our four star cottages can accommodate up to 22 people: the Smithy (sleeps 6), the Long Barn (sleeps 5/6), The Granary (sleeps 4), May Cottage (sleeps 4) and Nuthatch (sleeps 2). The farm buildings have been sympathetically converted and are full of character, retaining many original features, timbers and stonework. We do not charge extra for electricity. Heating is also provided for certain periods each day, depending on the season. We also provide the following free of charge: Towels, Cots and high chairs and WiFi Internet access. Three Gates Farm is easily accessible, only 15 minutes drive from the M5 (J27) and Tiverton Parkway railway station (two hours to Paddington). We are on the edge of Huntsham village, only a mile from Huntsham Court (the nearest accommodation to this spectacular wedding venue), three miles from the popular town of Bampton, which has a range of excellent pubs, restaurants, cafes and local shops and six miles from the market town of Tiverton. We are within easy reach of the beaches of the North and South coasts (about 40 minutes drive to either coast) as well as Exmoor and Dartmoor. We are pet-friendly and welcome well behaved dogs (please check our dog rules, point 12 of our terms and conditions). There is a surcharge of £20 per dog per week. Kindly note, during the school summer holidays, we can only accept pets in our one-bedroom cottage, Nuthatch. ‘Escape to the Country’ – we’ve been on twice! We (Jonathan, Lynn and Ellie May) moved to Three Gates Farm in July 2010. We were first shown Three Gates Farm on the popular BBC programme ‘Escape to the Country’! Our programme can be viewed below. The Escape to the Country team revisited us in 2011 to show how our life had changed after buying property ‘number two’. Our revisit appears at the end of another couple’s search in North Devon and can be viewed below. The Smithy has a fully-fitted kitchen, conservatory and enclosed private garden with stunning views. The Long Barn is a spacious country cottage. 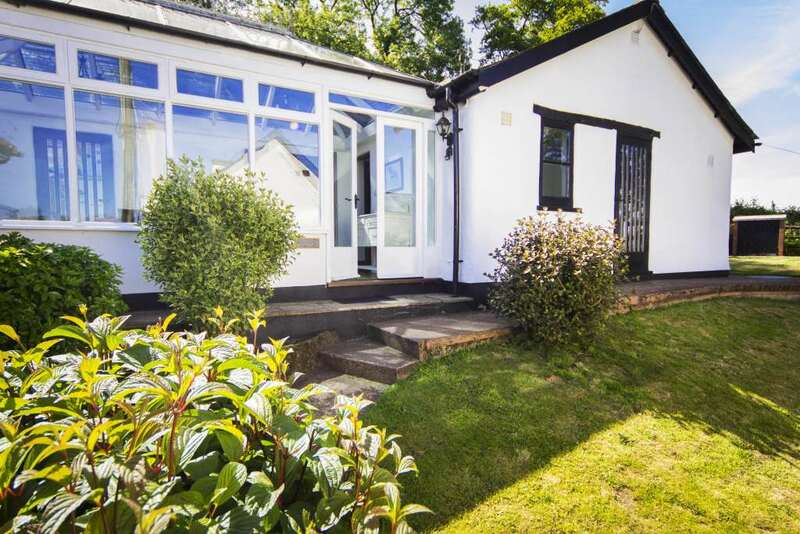 Single storey with three bedrooms, kitchen, sheltered patio and countryside views. Two attractive bedrooms, log burner, kitchen and patio area. Perfect for a family retreat and base to explore the area. A bright, single storey, two-bedroomed cottag with supererb views over the rolling countryside. 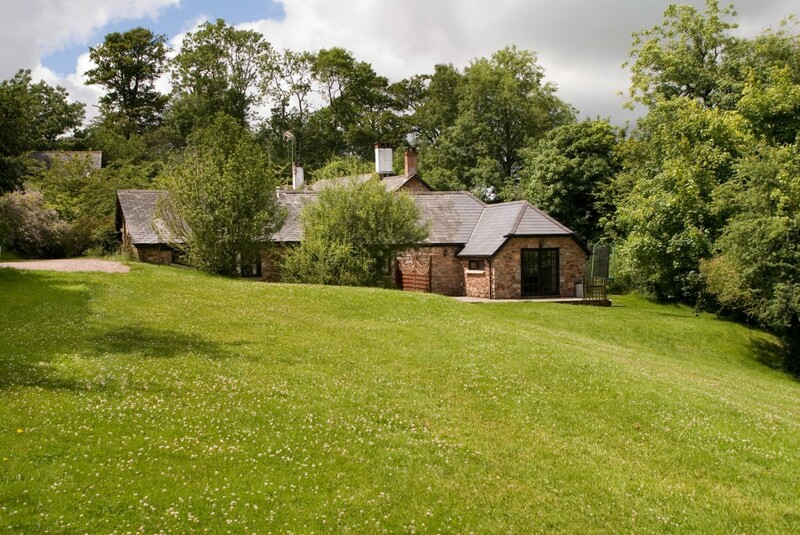 Nuthatch is a romantic one-bedroomed cottage with pretty four-poster bed and ensuite bathroom. 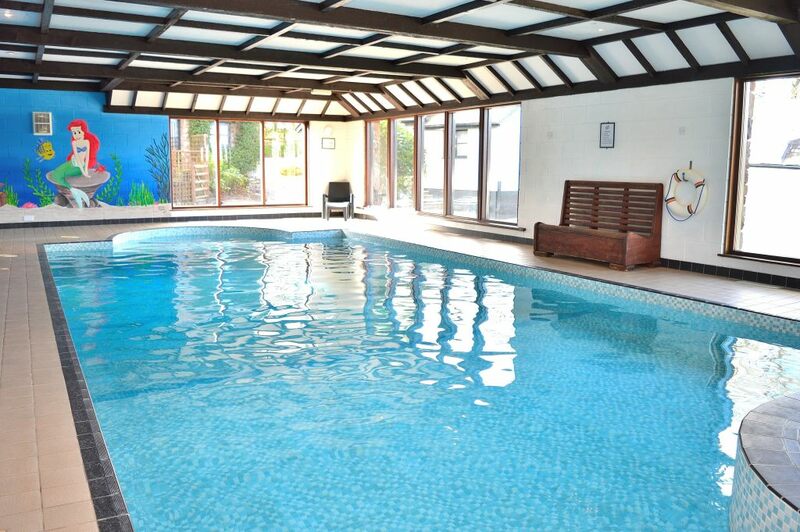 Three Gates Farm has a large, indoor, heated swimming pool and sauna. Open from 9.00am until 8.00pm daily! 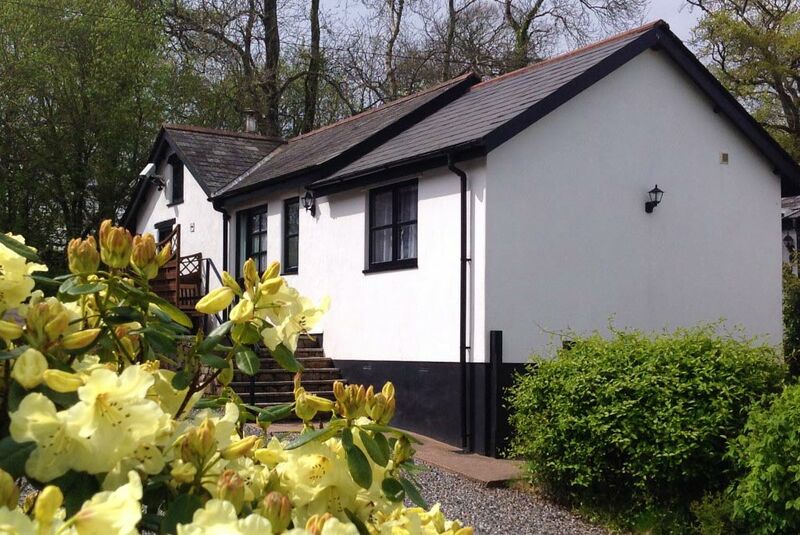 May Cottage – A fantastic standard of accommodation and facilities and we really felt welcomed. Nothing was too much trouble, from umbrellas to swimming lessons, to feeding the hens. We loved their eggs! The Long Barn – Best holiday, so say the children. They loved having the pool and play area. We had a wonderful, relaxing time in the quiet surroundings. We would definitely like to come back again soon. Your website doesn’t do this beautiful cottage justice.